Families of the Richmond community were invited to discover the exciting new environments of Guardian Early Learning – Richmond Centre on Hoddle Street on Saturday 4th February. Greeted by the friendly educators, families were guided into the piazza where they enjoyed the various activities situated around the centre. 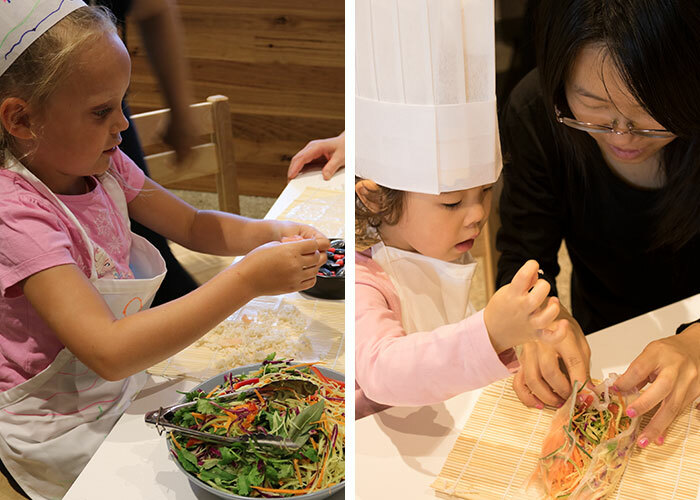 Children were able to explore their artistic talents in decorating their own chef’s hat and apron in time to participate in the mini MasterChef’s experience, where they chose their own ingredients to make a delicious Vietnamese rice paper roll. Visitors mingled in the piazza between the group or individual tours available to learn more about the centre, Reggio Emilia inspired resources and curriculum. Some of the most curious explorers navigated around the centre’s kitchen garden, where children are able to harvest basil, parsley, rosemary, tomatoes, and lettuce for their healthy and nutritious meals each day. 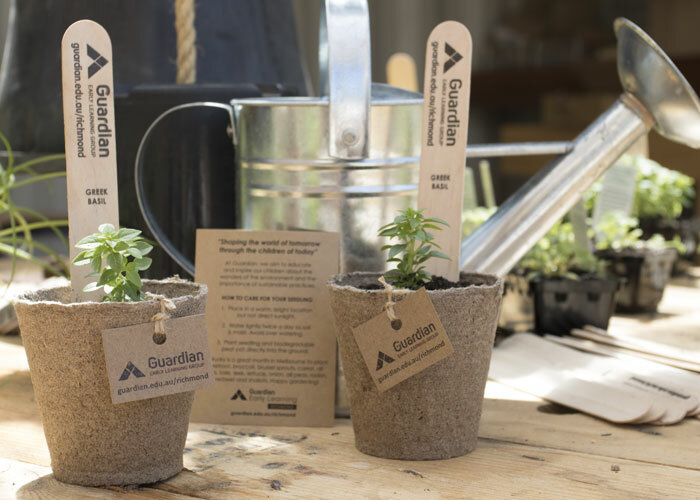 Children also took great interest in the gardening activity within the shipping container atelier, where they were able to plant their own seedling into a biodegradable pot plant. Rachael Kane, a Melbourne artist, also took part in the day’s festivities, who’s music contributed beautifully to the atmosphere of the day. Families were seen tapping their feet, dancing and singing as the children interacted with each other, playing percussion instruments and engaging in the rhythm of the songs. It was a lovely relaxed day full of discovery, creativity and enjoyment. Guardian thanks the many families that came along, for a day of family fun at our new Richmond centre.